So we have now discussed how the NLP engine in a bot works. It’s time to tackle intelligent paths, Business platforms are primarily transaction driven, till we shift the model to open conversations that are random as humans will communicate with each other. 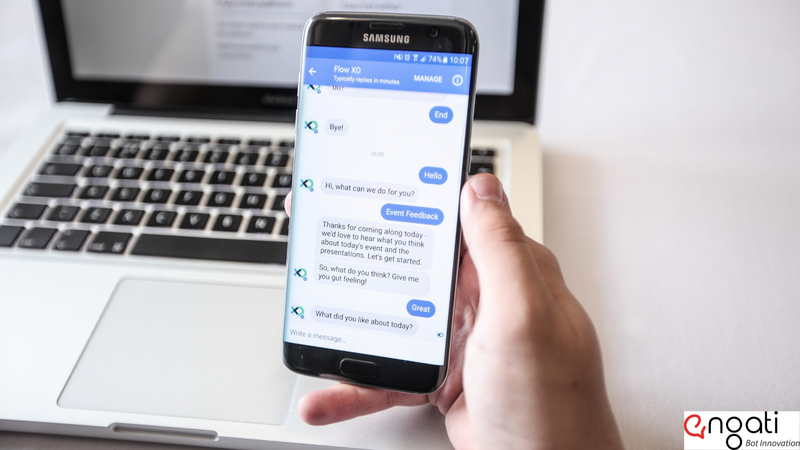 This is typically switching contexts while having a conversation with another human, something like “Oh I forgot, I had to check the balance on my checking account, I better do it fast.” So, how do we evolve a chatbot for business transactions? They drive a conversation for the user by presenting options for the user to select from. Once clicked it branches off to a path that asks further questions. Or it displays further options or the end result that the user is looking for. Platforms like Engati www.engati.com enable you to create intelligent path flows that link information retrieval to the next step of input as in a manner implementing a flow chart for a conversation or information lookup and retrieval. We can also use intelligent paths to ask further clarifying questions to narrow down the information retrieval needs for the user. Tags are the elements that we use within paths to store key information. If the user is talking about a bank account and undergoes an authentication check, then we store the bank account in a transient tag. This tag will only last for the duration of the conversation with the bot. The intelligent path flows let you design a richer interaction. In return, intelligent path flow will navigate the user. Therefore, will help keep the context of the conversation while interacting with the bot. Intelligent paths and nodes represent a key element in the intelligence design for a bot. Try it out with the Engati platform bot builder which supports paths and flows. It is a unique way to program your bot for intelligence without the need for programming. Just impart the logic of the conversation flow you want the user to have with your bot. You can do this with drag and drop flows and Engati will do the rest behind the scenes. There’s a lot more about chatbots and their diverse roles for your organisation.